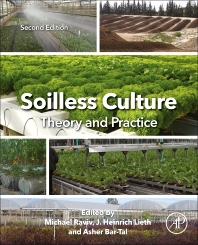 Soilless Culture: Theory and Practice, Second Edition, is the first authoritative reference book on both the theoretical and practical aspects of growing plants without the use of soil. It is the go-to source for those involved in this practice, focusing on hydroponics and advancements in technologies and methodologies. The book builds on the thorough presentation of both physical and chemical properties of various soilless growing media, also addressing how these properties affect plant performance in basic horticultural operations, such as irrigation and fertilization. In addition, the book describes the latest technical advancements and methodologies, including run-to-waste, re-circulation and closed systems. Department of Plant Sciences, University of California - Davis, U.S.A.